Foot traffic is one of the most essential measures when it comes to running a brick-and-mortar store. More traffic means more opportunities for sales and customer engagement, which in turn leads to higher revenues. And here’s some good news: there are plenty of things you can do to increase store traffic. In this post, we’ll share some tried-and-tested tips to get more people walking through your doors. 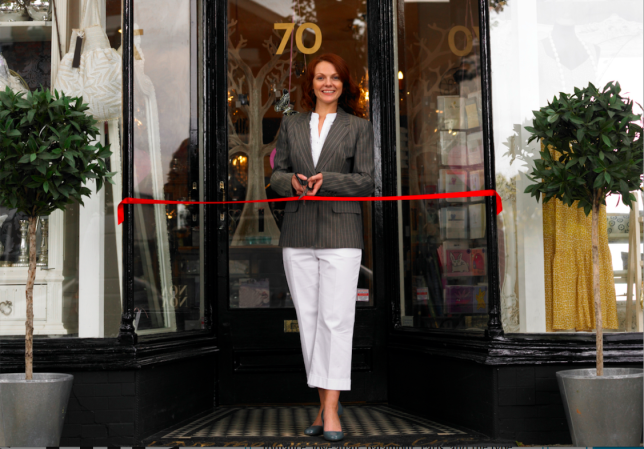 A spruced up storefront can do wonders for your curb appeal. Nobody wants to walk into a store with dirty windows or peeling paint, so stay on top of these maintenance tasks. Certain jobs, such as sweeping your storefront and cleaning your windows, should be done daily, while other tasks only need to be done every few months or years. A good paint job, for instance, can last years. Step out of your store and look at it from the outside. Evaluate the physical state of your windows, doors, and walls, and identify the things that need sprucing up. You should assign people to perform various maintenance tasks (like sweeping and glass cleaning) daily. Perhaps your employees can take turns doing different jobs, or you could hire a third-party to maintain your storefront for you. Go beyond typical window displays by having additional elements outside your store. For instance, you could put out a sandwich board that welcomes people with a witty message. Or why not have a sign that talks about something special going on inside your store? Some retailers are adding curbside elements that shoppers can use. Take, for instance, Snyder Cycles, a bike shop in Atlanta. Snyder Cycles set up bike racks outside their store, where customers can park their bikes while shopping. Can you think of any curbside extras that your shoppers might find useful? Set them up outside and see what happens. If you have a large window that shoppers can look into, then how associates behave in-store may affect people’s decision to walk in. For example, bored-looking sales staff can be a turnoff to potential customers who are considering shopping at your store. Prevent that by ensuring your store employees are mindful of how they look and act even if there aren’t any customers inside the shop. See to it that they appear busy and welcoming at all times so passers-by will be more enticed to come in. Speaking of associates, you can have the prettiest shop, implement the hottest gimmicks, and run the most enticing offers, but if your staff members provide poor customer service, you’ll be hard-pressed to drive visits to your location. Train your employees – If you have some customer service training in place, review it with your employees. Don’t have one? Then hire an experienced expert to spend a day training your staff. If you have no time to train, remind your employees that “Thank you for shopping with us”; or “We appreciate your business” can go a long way, costs nothing and leaves a positive lasting impression. Prepare your employees with a “mental” suit of armor – Make sure they’re aware that not all customers will be nice. Your employees will be on the front lines of occasional customer abuse. Warn them in advance, and make sure that when those incidents happen, your employees will still treat the customer with politeness and respect. We all know the customer isn’t always right. But they remain the customer. Had a rough day? Don’t take it out on the customer! And if they are in a foul mood, it’s all the more reason to turn on your charm. Stay upbeat and happy and don’t let your rough day or the customer’s bad mood impact the service you provide. Like it or not, people are spending more time online. Now, you can complain about how the Internet is driving people away from physical stores, or you can use the web to your advantage. So, have an ecommerce presence. Set up a website that showcases your catalog and allows people to browse and buy. Doing so not only gives you more chances to generate sales, but it can lift brand awareness and foot traffic. Will Hatton, co-owner of Pace Athletic, says having an online store has helped drive up interest and traffic to their store. Lisa Besseling, the owner of homeware store Stony Lake Furniture Co., has seen a similar trend. Already selling online? Great. We also strongly urge you to offer click-and-collect services in your stores. Such initiatives will not only get people to your physical location, but they can potentially increase sales in the process. What’s more, about 50% of respondents have opted for in-store pickup, and of those consumers, 45% bought something else during their trip to the store. Your online customers can now choose the Click & Collect option when purchasing items from your ecommerce store, so they can purchase an item online and then come into the store to collect it. Check out how it works! Retailers should “actively manage local profiles with a platform like Yext and Yelp, to ensure that all location information is accurate, enhanced and contains relevant calls to action,” explains Dan Golden of BFO (Be Found Online). If your business isn’t listed on websites such as Yelp, Google, and Facebook you’re missing out on A LOT of potential visitors. So, set up your listings ASAP. For best results optimize each listing by making them as detailed as possible. Dan adds that Google’s local inventory ad service, which enables retailers to list their local inventory information online, can help merchants drive traffic. 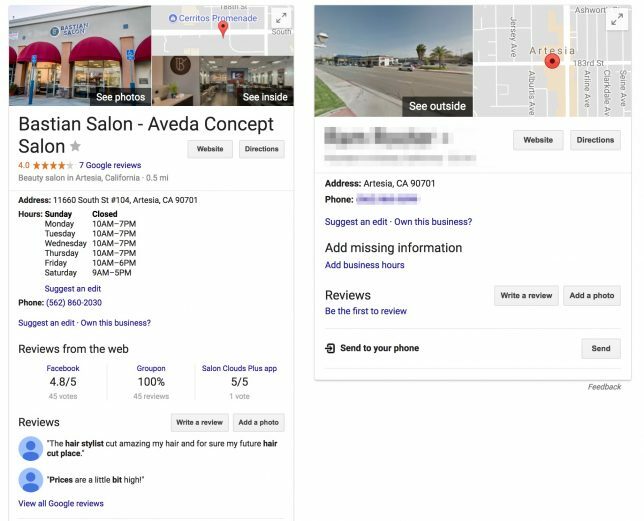 Here’s how it works: When a nearby customer conducts a Google search for a product that you happen to have in a local store, Google will include that item in its search results. Kelly Ehlers, founder and president of Ideas That Evoke, encourages retailers to use social media to their advantage. One way to do this is to use Facebook ads. “Utilize Facebook Offer Ads to incentive patrons to come into your brick and mortar business. You can track how many people have claimed the offer and then also track in store how many people came in with the offer code from social media,” says Kelly. 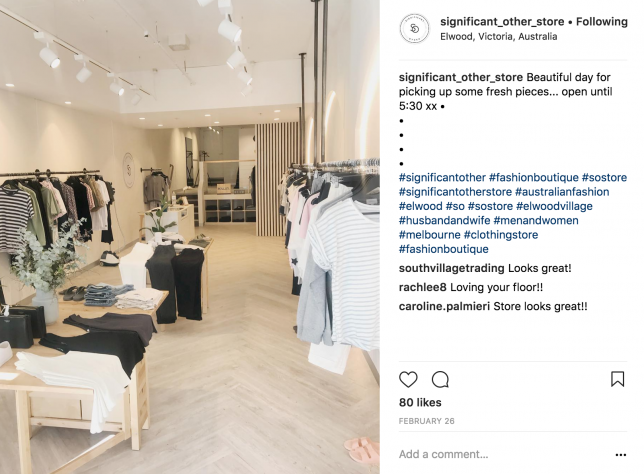 “Facebook ads actually have an objective setting called “Store visits” which bridges the gap between the online and offline world and allows retailers to drive customers back to their brick and mortar locations,” explains growth marketer Melanie Balke. These ads include coupons that can only be redeemed in store, are location-enabled (show up when you are near the location) and give you guidance on how to get to the store via maps. Not too enthusiastic about ads? Then at the very least, you need to keep your social accounts active with updates and interesting tidbits. Do you have any in-store promotions going on? Got an event coming up? Keep your customers posted via email. Mention the perks of showing up in-store, such as exclusive offers that can only be redeemed on-site. For best results, target your posts based on your customers’ demographic information, location, and purchase history. For instance, if you’re having an event at your San Francisco store, then only send out an email to people in that area; otherwise, you risk alienating your other customers. Here’s another tip: encourage email subscribers to swing by your shop by showing them where your nearest locations are. 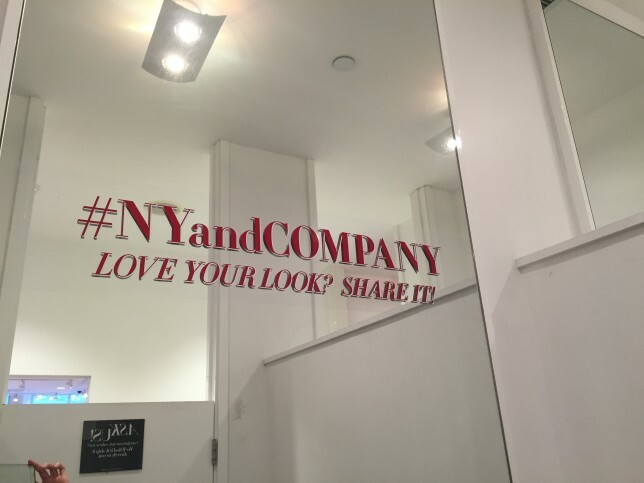 Take a look at what New York and Company is doing. The apparel retailer displays a map of the closest NY&C stores at the bottom of its emails to remind subscribers where they can find local stores. 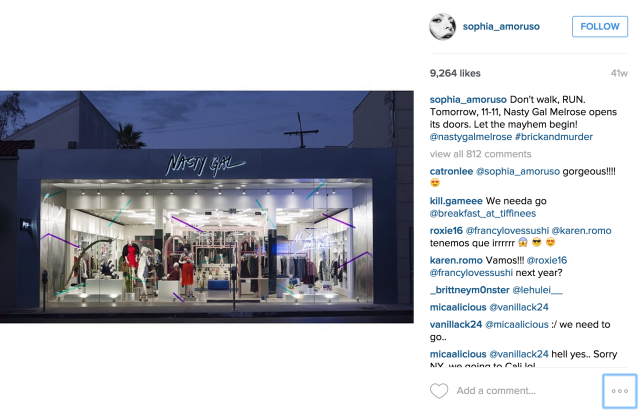 Your foot traffic strategy shouldn’t just be about getting new people to walk into your store. See to it that you’re putting significant focus on getting your existing customers to come back. Take a leaf out of the playbook of ScrubzBody , a store that sells skin care products. “For us, customer loyalty is everything. 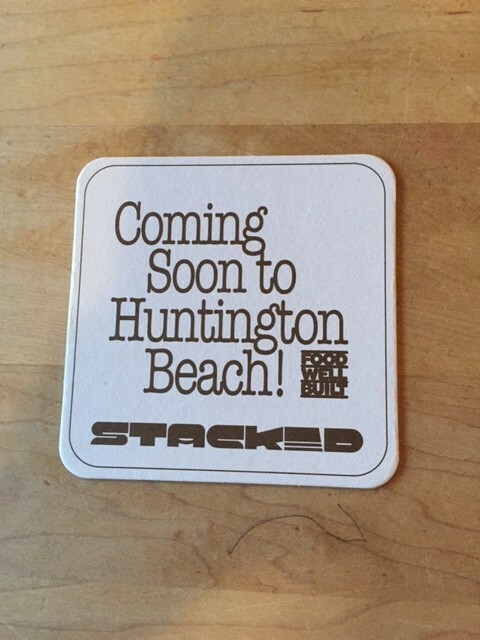 That is how we increase foot traffic,” shares owner Roberta Perry. Do you sell products that require maintenance? Consider offering those services for free in your store to encourage people to stop by. That’s what Tanzanite Jewelry Designs does, and it works out really well for the business. 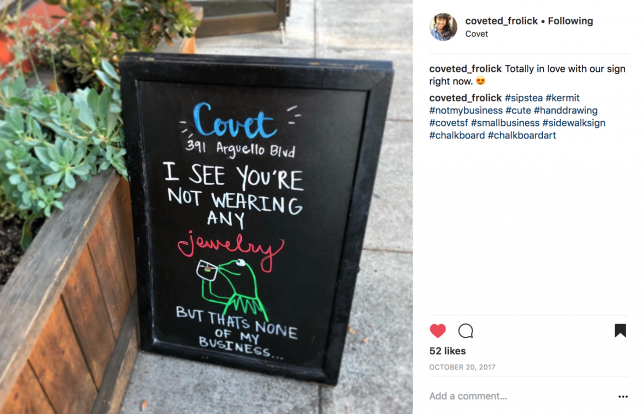 According to owner Jeff Moriarty, they provide in-store services such as jewelry cleaning and battery replacement, and doing so helps them increase traffic and sales. 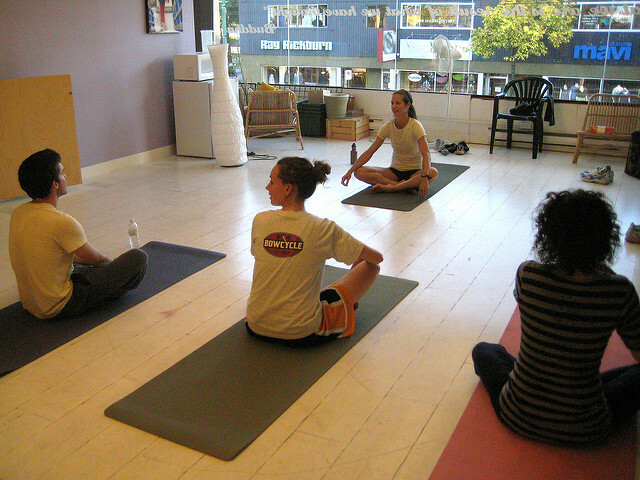 Lululemon has also found success in holding free yoga classes during slow business hours to drive traffic in-store. Classes feature products sold by Lululemon and this increases basket size in the process. 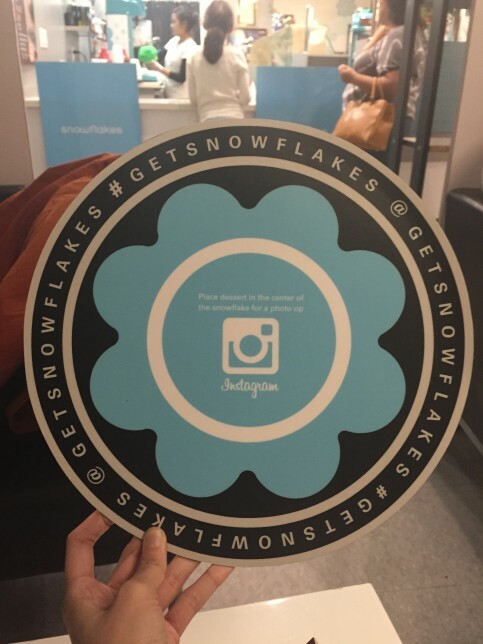 Identify social influencers and brand ambassadors in your space and see if they can help you increase store traffic. Tamer AlMasri, the co-founder and CEO of apparel store Jobedu, says that they work with local community brand ambassadors to drive traffic to their locations. According to Tamer, they’ve set up referral systems that reward brand ambassadors for talking up their company. 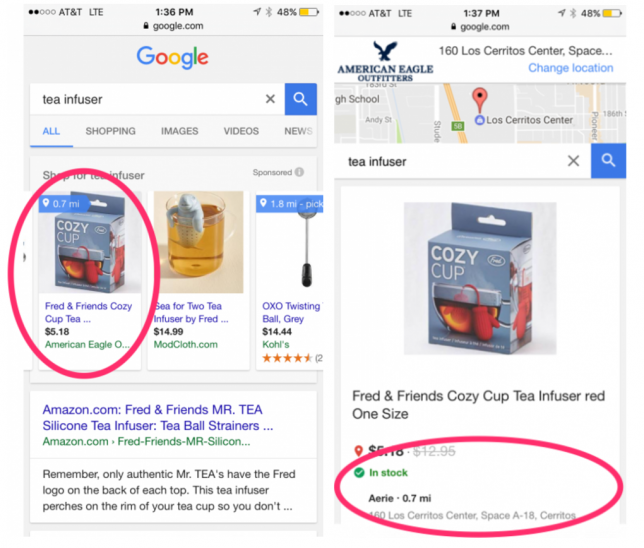 Another great example of using influencer marketing to drive foot traffic comes from Google. Google recently hosted “block party” events to showcase its Google Play Music and Google Home technologies. 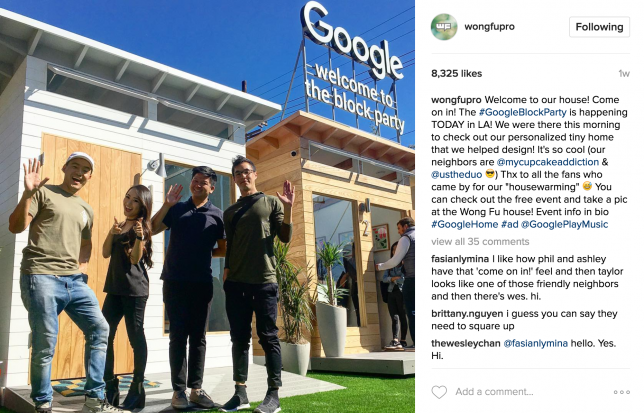 To encourage people to show up, Google worked with influencers like Wong Fu Productions, MyCupcakeAddiction, and Us the Duo, who then helped spread the word to their fans. Hosting events is one of the best ways to get people to head to your store because they offer experiences attendees won’t find online or in other shops. To make your events more fun and enticing, consider “cross-pollinating” with other brands or individuals. According to Christina Okubo, founder of boutique brand consultancy company O/Department, doing so creates a win-win situation for you and your partners. 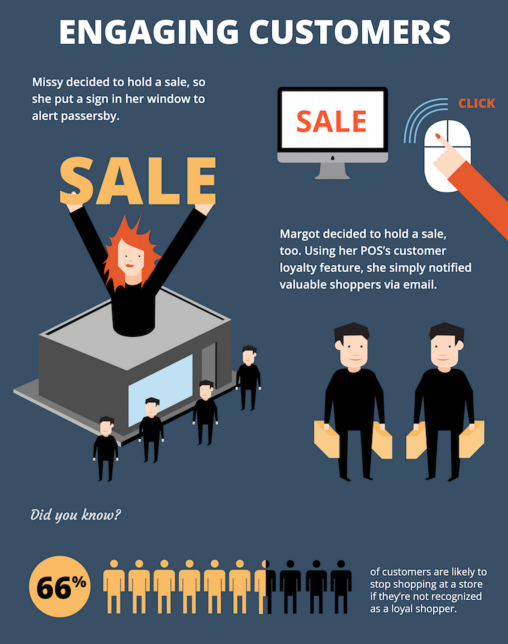 Promotions are a standard way to drive in-store traffic, but they’ve become so familiar that it’s getting more difficult to stand out. Address this by being more targeted with your offers. Collect the right customer data and use their information to serve up relevant promotions. “Rather than just putting up a SALE sign in the window, CRM functionalities can allow retailers to track and connect with their most loyal shoppers, easily letting them know about events like Small Business Saturday or any holiday sales they’re having,” says Justin Guinn, a market researcher at Software Advice, an iPad POS comparison site. A robust CRM system lets you easily see who your best customers are and how they’ve interacted with your brand in the past. Such information enables you to figure out how to reach out to shoppers in the most relevant way so you can increase the chances of conversion. For example, if you’re having a promotion for a particular brand, you can check your customer database to see who has shopped that brand in the past so you can notify them. Do you own a retail store? How are you driving foot traffic to your location? Tell us about your strategies by tweeting at us or head to our Facebook page and let us know! 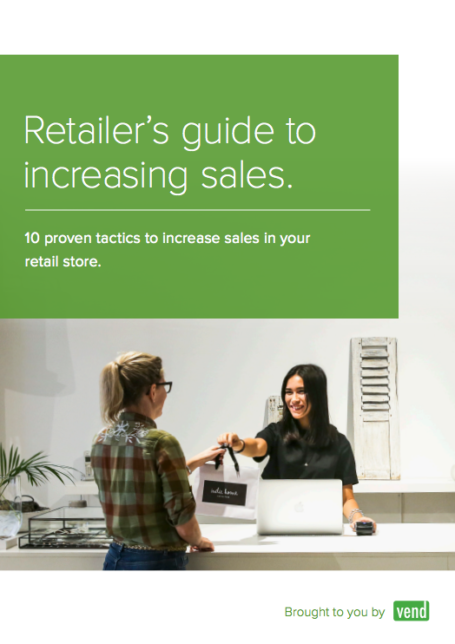 The post 17 Proven Ways to Drive Foot Traffic to Your Retail Store appeared first on Vend Retail Blog.